Seafield and Strathspey Estates have a long history. For the most part, the proprietors have devoted themselves quietly to running their estates for the good of the locals and employees, very conscious of their stewardship of the land and that they were the largest employers in the area. The family name of the Earl of Seafield is Ogilvie-Grant. 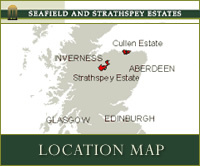 The Ogilvie family belongs to Cullen and district, and the Grant clan to Strathspey. The name Ogilvie derives from one Gillebride, second son of Gillechrist, Earl of Angus. 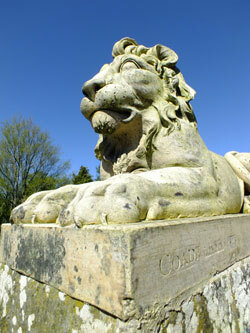 Gillebride assumed the name of his property, the Barony of Ogilvie in the parish of Glamis in Angus, granted to him by William the Lion about 1163. 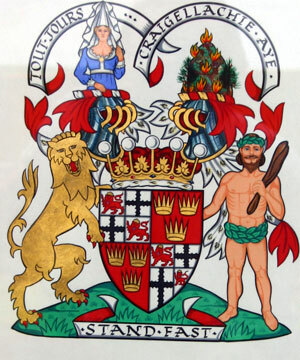 His descendant Walter Ogilvie, son of Sir Walter Ogilvie of Lintrathen, married Margaret, daughter and heiress of Sir John Sinclair of Deskford and Findlater, and had a charter of these Baronies to himself and his wife in 1440. Thus the Ogilvies came to Banffshire. Sir Walter Ogilvie was created the 1st Lord Ogilvie of Deskford and Findlater in 1616, and his son James became the 1st Earl of Findlater in 1638. The 4th Earl of Findlater (also James) was in 1701 created 1st Earl of Seafield, Viscount Reidhaven and Lord Ogilvie of Deskford and Cullen (during his father's lifetime he had become, in 1698, Viscount Seafield and Lord Ogilvie of Cullen). He was Chancellor of State for Scotland and had much to do with bringing about the Union of Parliaments in 1707. He died in 1730 and was succeeded by his eldest son James, 5th Earl of Findlater and 2nd Earl of Seafield, whose daughter Lady Margaret Ogilvie married Sir Ludovick Grant, 7th Baronet, in 1735. The first Grants appeared in Scottish history in the 13th century, and an unbroken line of their chiefs is traceable down from Ian Ruadh, Sheriff of Inverness in 1434. The Ogilvies and the Grants were joined in 1613 by the marriage between Mary, daughter of Sir Walter Ogilvie, and Sir John Grant of Freuchie, but the crucial union between the two families came with Lady Margaret's marriage in 1735. 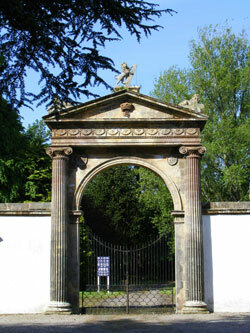 When the 7th Earl of Findlater died in 1811 this title expired, but the other dignities reverted to his cousin Sir Lewis Alexander Ogilvie Grant, 9th Baronet, a grandson of Lady Margaret and Sir Ludovick: he became 5th Earl of Seafield and assumed the name of Ogilvie in addition to his paternal name of Grant. When the 11th Earl of Seafield died of wounds received in action in 1915, the Barony of Strathspey and Chieftainship of the Clan Grant went to his brother Sir Trevor Ogilvie Grant and the Scottish peerages to his daughter Nina Caroline as Countess of Seafield. On her death in 1969 her son, Viscount Reidhaven, succeeded as 13th Earl. 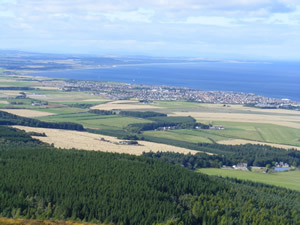 Banffshire has been the home of the Ogilvies since 1440 when they moved from the parish of Glamis in Angus. Until about 1511, when the family moved to The Castle of Cullen House, Findlater Castle had been the family residence, and the ruins can be seen on the rugged coast between Cullen and Sandend. The Castle of Cullen House is reputed to have been built on the site of an old monastery, and dates from before the 13th Century AD. In the very oldest part of the house a passage linked the Monastic School to what is now the Parish Church of Cullen although at one time a Roman Catholic Chapel. It has an association with the rising of Bonnie Prince Charlie when in 1746 Prince Charlie's army on the march from Aberdeen to Culloden sacked it and many servants were murdered. The principal part of Cullen House was built about 1543 or later. An addition in the east side dates from about 1711 and further additions were made in 1858. Cullen House is a fine example of many Scottish castles in which the influence of French architecture is evident. After the Reformation, landowners became more conscious of their surroundings and in 1820 the 5th Earl of Findlater demolished the old town of Cullen which was built around Cullen House and the Old Church and planned the beautiful policies. The townspeople were moved to a newly designed and built town in a location nearer the coast and it is evident today that Cullen is a planned town. The Seafield family had previously been responsible for founding New Keith in 1751 as the first Georgian planned settlement in the North of Scotland bringing a key advance in the economy. A few hundred metres from Cullen House on the site of the old village stands Old Cullen a Dower House, Georgian in design. Formerly the Factor's house, it is now the residence of the Earl and Countess of Seafield. Having moved to this comfortable home, the Earl secured the future of Cullen House by selling it for conversion to a number of prestige tower houses and flats. The first Grant to establish himself in Strathspey was John le Grant, who acquired Inverallan in 1316. 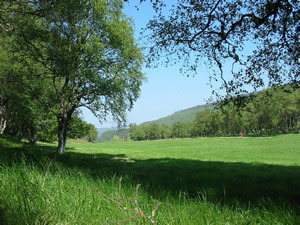 Strathspey is the middle third of the valley. It extends from southwest of Aviemore some 25 miles down the valley to Advie - above it is Badenoch and below is the area known as Speyside. Castle Grant has probably always belonged to the Grants and was originally built in the early 16th century. Formerly known as Freuchie, Ballachastell or Balloch Castle, it was given the name of Castle Grant in a Crown Charter in 1694 and subsequent alterations added to the north front. The Castle commands a strategic position at the head of three passes linkin:)g Strathspey with the Laich of Moray and so Lowland Scotland. Castle Grant has always remained in the hands of the Grants, except for a few days in 1747 when the Jacobite forces occupied it while the Laird, Sir Ludovick Grant, was away with his company trying to prevent Prince Charles' army from marching across his lands. Like so many other large rural properties, it was used by the services during the 2nd World War and then remained unoccupied until 1983 when the family sold it. Grantown was founded in 1765 by James - known as 'the good Sir James' (from 1773, Sir James Grant of Grant) the village being marked out in lots on a barren moor. He was affectionately known as 'the good Sir James' after he responded to a severe crop failure and famine in the late 1700's by selling his fine Edinburgh townhouse to buy and distribute grain among the starving of Strathspey. More than any other person, he brought Strathspey into the modern world during the half century or so in which he administered and guided it from Castle Grant, 1763 - 1811. He promoted the greatest improvement in living conditions there has ever been in that part of the Highlands. At that time, much of the old natural Scots Pine forests, which had covered Strathspey from time immemorial, had disappeared. 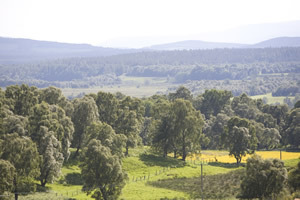 Sir James cleared, drained, and planted much of the derelict land adjacent to the town and it is recorded that the plants used in these early plantations were raised from seed gathered in the natural Scots Pine forests of Abernethy, and are therefore lineal descendants of the old Strathspey strain. 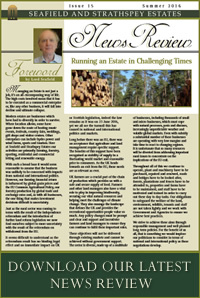 The family today, over 230 years later, continues to be a large woodland owner. With such a long history and so many influential family members, it is difficult to single out those who should be mentioned specifically. For the most part, the proprietors have devoted themselves quietly to running their estates for the good of the locals and employees, very conscious that they were the largest employers in the area. Some have however had a high profile in the public eye by reason of legend or historical event. The Good Sir James, referred to above, was the epitome of a Highland Chief, who vastly improved his clanspeople's lives, fed them in time of famine, and provided employment to enable them to avoid the waves of emigration which so hurt the Highlands from time to time. The 1st Earl of Seafield was Chancellor of Scotland at the time of the Union of the Parliaments in 1707. His signature is on the Act of Union in Westminster. 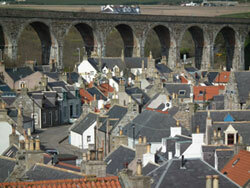 He had a spectacular political career beginning as Commissioner for the Royal Burgh of Cullen in 1689. In 1693 he became Sheriff Principal of Banffshire and Solicitor General, and in 1700 he was made Lord High Commissioner to the General Assembly, becoming Lord High Chancellor of Scotland in 1702. James, 6th Earl of Findlater and 3rd Earl of Seafield is noted for his hugely important improving career as Lord Deskford and was the most influential Improver of his Age in the North-East. He very sadly committed suicide in 1770 and there is no evidence to support the legend that he murdered his Factor. The family influence extends beyond the shores of Britain to the United States of America where a family descendent, General Ulysses Simpson Grant, became the 18th President. Earlier, General James Grant, a grandson of the "Highland King" (Ludovick Grant, last of Freuchie and first of Grant, c. 1650 - 1716), was the first royal governor of British colonial Florida (1763-73). He is reputed to have practically created the colony once it was secured from Spain at the end of the Seven Years' War.